Mill spun, farm yarns for sale! Grown, raised and processed all right here in Michigan. Not just single breed (Corriedale) yarns, but single sheep yarns in most cases. You can get to know the sheep who contributed their fleece to make your yarn! 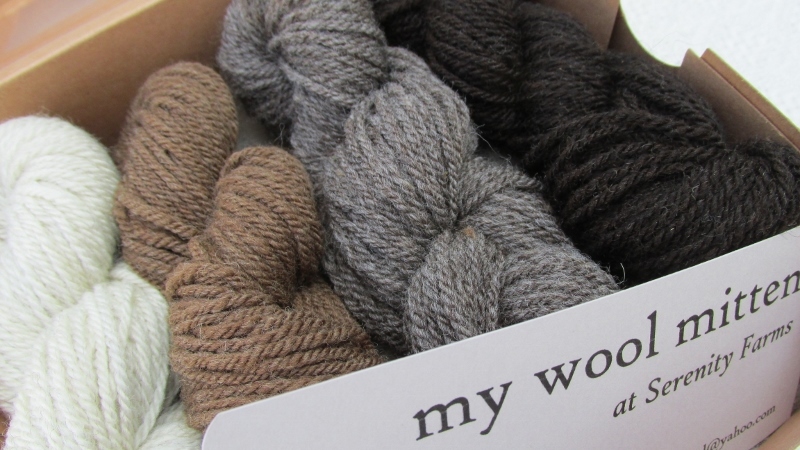 From left to right in the box above are "A Breath of Snow and Ashes"; "Dunbonnet"; "Gravel Road at Dark" and "Murmurations" (natural black, a wool alpaca blend). Sample boxes with an assortment of skinny skeins of these yarns are available if you can't chose just one color.